Stig Telfer and Blair Bethwaite discuss the priorities for Barcelona coming out of the working group’s first meeting and where community members can learn more and hear updates. 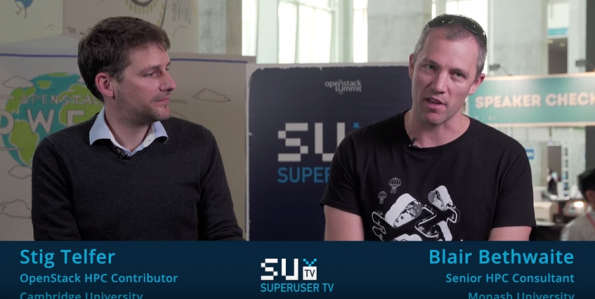 Stig Telfer, OpenStack high performance computing (HPC) contributor at Cambridge University and Blair Bethwaite senior HPC consultant at Monash University sat down with SuperuserTV at the Austin Summit to discuss the launch of the OpenStack scientific working group. 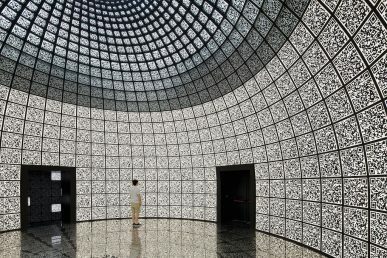 Around 50 attendees joined the working group at the Summit where priorities were set including finding how researchers access scientific kinds of parallel data in a high performance way in an OpenStack environment and user stories to see why organizations want to use OpenStack for HPC. To learn more and get updates from the group, you can follow the scientific-wg tag on the OpenStack User Committee mailing list. 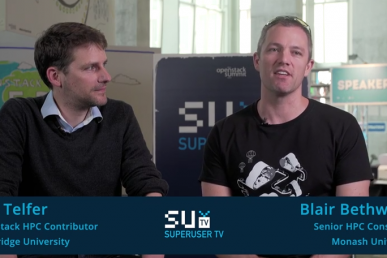 Stig Telfer and Blair Bethwaite talk HPC and the new OpenStack Scientific Research Working Group with Superuser TV.